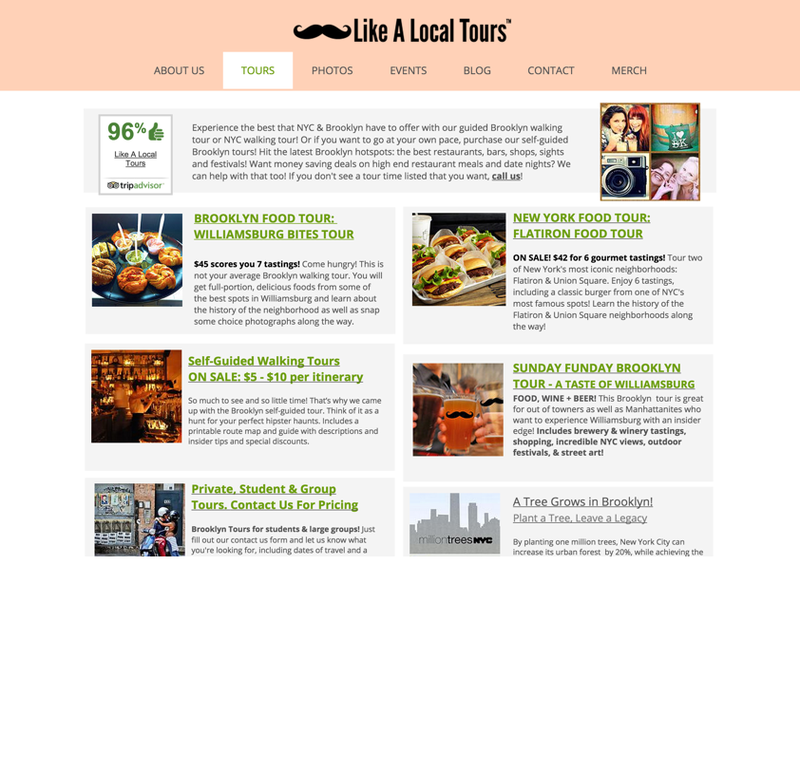 Lauren runs a side-business offering walking tours of Brooklyn and Manhattan. Given the competitive space she’s in, she asked us to evaluate and possibly redesign the company’s website in hopes to bring in more revenue. To get a sense of the tours, Lauren let us join one of them. Needless to say, it's my favorite contextual inquiry to date! In addition to learning about the history of the neighborhood, we interviewed other tour participants to learn how they found out about Like A Local (LAL) and what ultimately led them to choose LAL over others. Lauren also gave us access to her website’s Google Analytics data. This revealed that most enter from searching the term “like a local” and traffic was all over the place with heavy drop-offs within the first several seconds of landing. 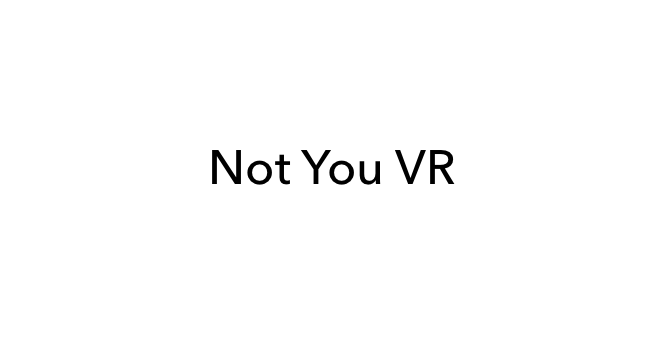 Looking at the pages, it wasn’t hard to see why. Interestingly, most visitors to her site were from within driving distance to the city such as New Jersey and Connecticut. During our second client meeting, we shared the results of a heuristic evaluation for her website. It was particularly lacking in the areas of learnability, efficiency, and error management. We also shared survey results that revealed some confusion with the company’s logo so we offered suggestions for exploring rebranding. Lauren was particularly attached to the branding so we kept it in the final designs. 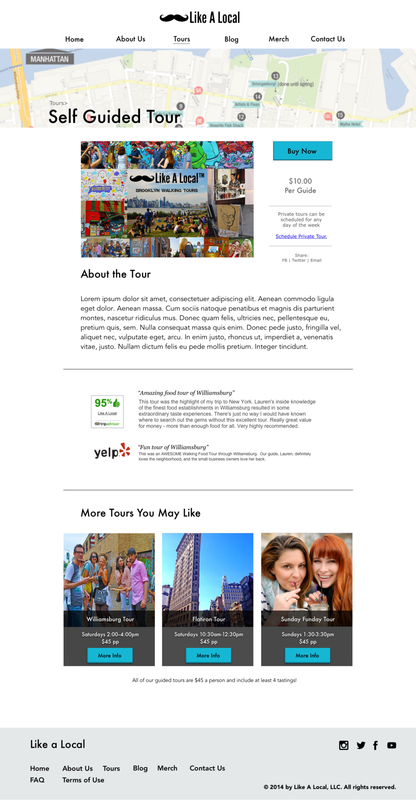 We did a competitive analysis of the websites for the top three walking tour companies in New York according to TripAdvisor.com, where many of the surveyors said they consult when booking. We then sketched up some low fidelity wireframes to get a sense of the placement of information and tested out a few designs. 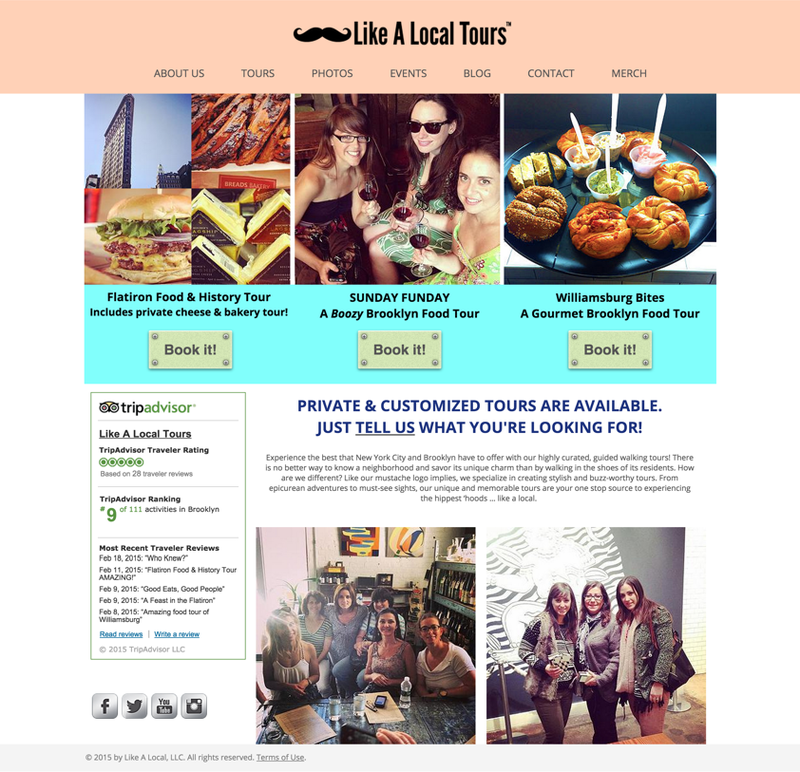 Because she used a third-party online booking service, we had the main CTAs on the home page link to individual tour pages. That way the user could learn more about a tour and stay on her site before being kicked out to the booking forms. 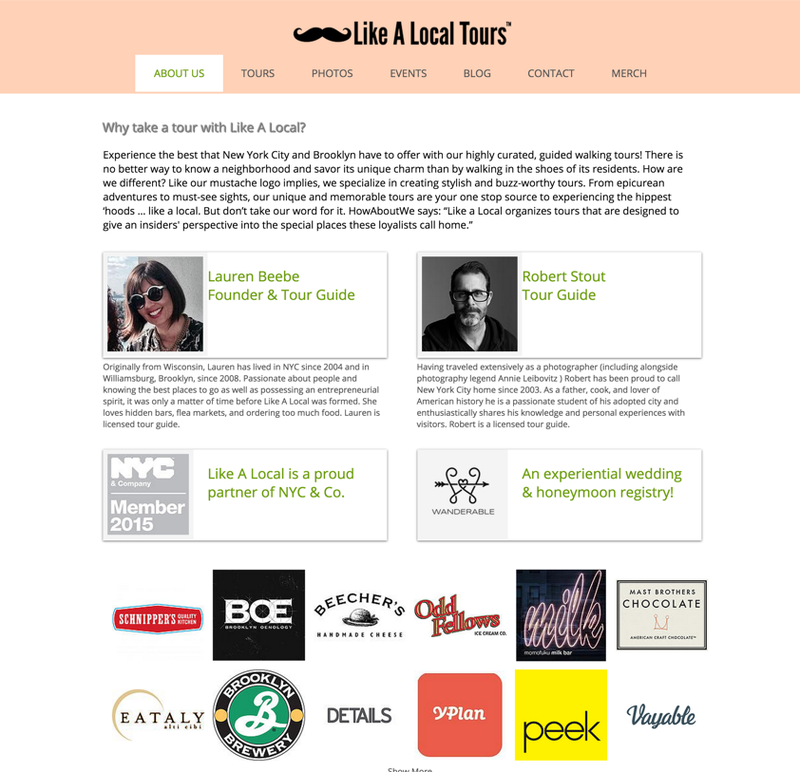 It was a short engagement spanning less than three weeks and our involvement was limited to only providing redesign suggestions so we were happy to eventually see many of our designs incorporated on likealocal.com.